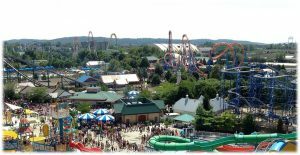 Purchase your Hersheypark tickets today, and save 49% off the regular admission price of $69.80 (ages 3 plus). Our discount price is only $35.50. Also available, Meal Tickets for $11.99, Prepaid Parking Passes for $7.50, and Snack Vouchers for $3.50. Orders due by Monday, April 29, 2019. Place your order today in the parish office by cash, check or credit card, or place your order online. There is a minimal convenience fee for credit card and online orders. Download the paper order form here. Checks payable to Saint Catherine Labouré Parish. Previous Previous post: Final Fish Fry for the year on April 12th!